A recent jury verdict against Johnson & Johnson made national headlines. The jury awarded a woman who alleged she developed ovarian cancer after using Johnson & Johnson talcum powder products for decades. The verdict was a staggering $417 million in damages ($70 million for compensatory damages and $347 million in punitive damages), according to CNN.com. The sheer size of the verdict is mind-boggling and probably caused great concern for representatives of J&J. However, the verdict was set aside just a few weeks later and judgment was entered in favor of the defendants. This represents a resounding victory for the defense and highlights the importance of remaining persistent, even after receiving an adverse jury verdict. After post-trial motions were filed, the trial court did not simply grant a new trial. Instead, it determined that there was no substantial evidence to support the jury’s verdict. The court reasoned that the scientific evidence offered by the plaintiffs was speculative at best, according to Bloomberg.com. Therefore, the court entered a judgment in favor of the defendants. To put it succinctly, there is simply a lack of scientific evidence to support holding talc manufacturers liable for consumers who develop cancer later in life. The plaintiff’s only causation expert was her treating physician. She relied on a highly questionable differential etiology analysis and asserts that it was more probable than not that the use of talcum powder products proximately caused the plaintiff’s ovarian cancer. The problem with differential etiology is that it was created primarily for diagnostic purposes, not as a method for establishing causation. 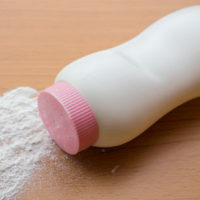 It was undisputed that no study has ever shown that talc can cause ovarian cancer, and some studies on which the plaintiff’s expert relied showed a relative risk in the range of 1.3, which tends to disprove causation. Yet, the jury found the products caused the disease. In addition to the lack of concrete scientific evidence, the trial court judge found that there was evidence of jury misconduct during the trial. It was discovered that three members of the 12-person jury who voted against holding Johnson & Johnson liable were excluded from providing input on the amount of damages to award the plaintiff. This is extremely troubling and probably contributed to the shocking high (and suspect) verdict. For example, the jury held Johnson & Johnson 97 percent responsible for causing the plaintiff’s ovarian cancer. As a result, they awarded $408 million in damages against a holding company for negligent failure to warn. This is despite the fact that the holding company named in the lawsuit never manufactured or sold the products at issue for decades. In addition, it came to light that members of jury considered the tax implications and attorneys’ fees when calculating its verdict (not allowed). Along with the issues cited above, counsel for the plaintiff made spurious arguments to the jury alleging that Johnson & Johnson actively prevented federal regulation and lobbied Congress so talc would not be categorized as a carcinogen. There was no substantive evidence to back up these claims, which is why the court went so far as to issue a limiting instruction to counsel not to make these arguments during trial. The counsel ignored the limiting instruction. The complete reversal of the $417 million verdict was correct. As you can see, post-trial motions can make a huge difference in the outcome of a case.